HONDA'S new VFR1200F sports tourer has becoming the top-selling motorcycle in the UK in February 2010, notching up 97 sales nationwide. Figures released today by the Motorcycle Industy Association showed sales of the all-new 1200cc V4 more than quadrupled that of the usual strong-selling BMW R1200RT, of which just 22 units were sold last month. The news will come as welcome relief to Honda UK, after the V4 was panned by many journalists at its world press launch for the bike's small tank range, quirky looks and £11,500 asking price. Check out our full Honda VFR1200 specification and comprehensive picture gallery of the new Honda V4. Read our Honda VFR1200 first ride test report, fresh from Japan. 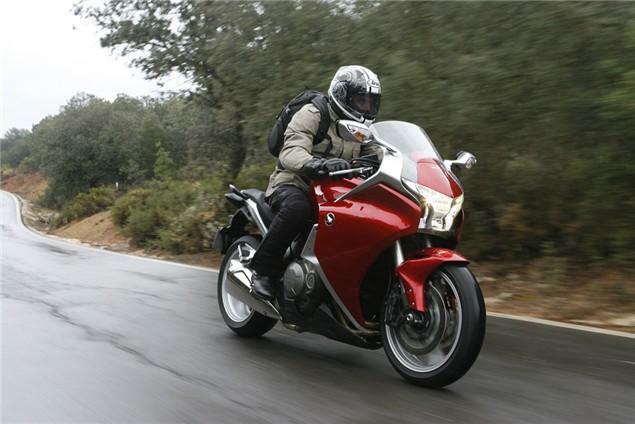 Find out what the VFR1200F is like on 200 miles of European roads. Visordown journo Mark Forsyth was one of the few riders allowed to test the fully auto version of the new VFR. Read his Honda VFR1200F DCT report.